Alicia Vikander is the only reason to watch this reboot although Vikander lacked the natural charisma and screen presence of her predecessor Angelina Jolie. In addition, Vikander's Lara Croft is a disappointment in this post-Wonder Woman era, with her Croft being a more reactive "heroine" rather than a pro-active, action star. This could have been an attempt by director, Roar Uthaung, and writers, Geneva Robertson-Dworet and Alastair Siddons, to ground this video-game franchise in some sort of reality, however, there are better ways to write your central character, and the plot, without having to sacrifice realism. This origin story had a good, "grounded" first act, but the middle act was too dragged out with simple logic utterly abandoned, and ended with a short, Indiana Jones/The Mummy-esque fun third act and an epilogue that laid the groundwork for a - no surprise here - franchise. There were no memorable moments, action or CGI sequences, in this film unlike Jolie's gorgeous aerial acrobatics in the Croft Mansion that opened the first film. Vikander made for a realistic heiress thrust into the world of Hollywood-archaeology, and the Uthaung went out of his way to establish her lack of physical skills. However, the film's second and third act threw all that out of the window when Vikander suffered tremendous physical injuries relentless that would have made even Tom Cruise wince. And therein laid one of the film's biggest problem. The optics of having the main character be almost like a punching bag and be superior to the men around her only in terms of brains. Vikander did the best available to her and managed to be an empathetic hero, with a natural intensity and charisma; if only the film knew how to capitalise on it. Kudos to the team for hiring Daniel Wu, an Asian actor in an Asian role who could actually speak fluent Cantonese and English. There are actually a lot of them/us out there. Walter Goggins and Dominic West were the two patriarchal characters which totally dominated the second and third act. They were both overacting and underperforming and relegated the more charismatic Wu and Vikander to the sidelines. Especially the latter in her own vehicle. A good reason for a sequel would also be to give Kristin Scott Thomas more screen time, and also Nick Frost and maybe Derek Jacobi. 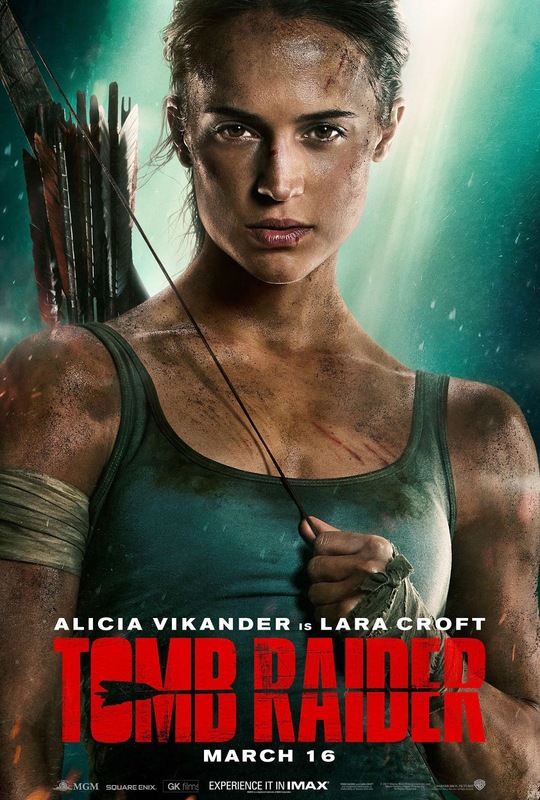 Tomb Raider was a decent film and a competent reboot of a franchise, but in its attempt to ground itself in realism, it lost sight of what made the video game itself (and the Jolie's versions) so popular.